"Boogie The Night Away In Style!" Boogie Nights Discos have been in the business for over eleven years now. We can provide a professional service for just about any type of event such as weddings, birthdays, engagements, anniversaries, surprise parties or any other event such as corporate events and presentations. We always carry backup equipment (although our regular equipment is professional grade and properly maintained) and we can arrange various setups to cater for any price bracket. We are always open to ideas and suggestions from the client because it is your event and your day. 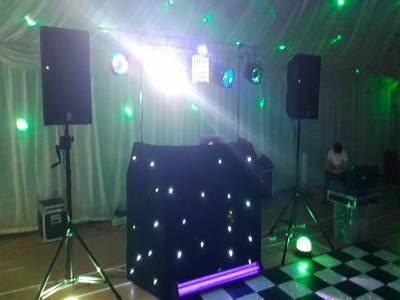 Whether you have a small party in a pub right up to a large wedding in a hall, Boogie Nights Discos can adapt their disco rig to cater for all and will help ensure that your wedding or party is just how you want it to be - a great success! Required by many venues, Boogie Nights Discos has a current PLI policy with AMP DJ in the amount of £10 million. Also required by many venues, Boogie Nights Discos has supplied satisfactory evidence of holding current PAT inspections of their equipment dated within the last 12 months. A Method Statement outlining Boogie Nights Discos&apos; Health & Safety procedure for setting up disco equipment has been provided. 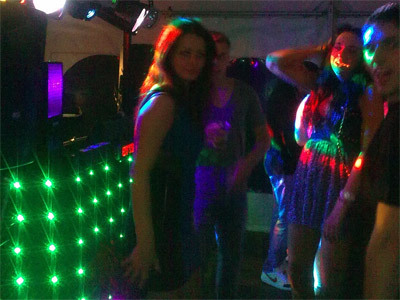 Boogie Nights Discos has provided Risk Assessments undertaken at events sourced via needadisco.com, indicating that they can undertake these competently. Why do people choose to book Boogie Nights Discos? Best package at the best price. We added a photo booth to the booking and paid extra for this. The DJ has a photo booth package as well as disco. Which is what I needed. Great feedback from previous customers, good price and use of microphones. Affordability and speed of response. "Hadyn provided an excellent evening entertainment. I certainly would book again. " 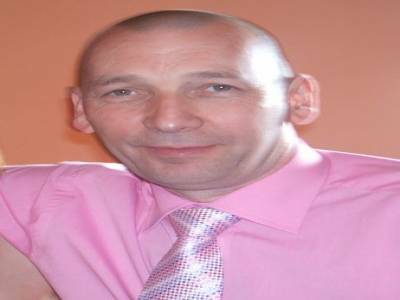 "Hadyn was a really lovely guy to hire. Really happy with the service. Sadly, I did supply a playlist especially made for my husband and only 3 were played from it. Not entirely happy about myself that but the guests seemed to enjoy the mix played otherwise. " "A lovely couple to deal with and party goers were dancing all evening. after checking playlist we did play roughly about 30 of the songs requested and every one commented on what a great nights dancing they had also just wanted to add that Booking form was requested and signed and returned so unsure of why it says not. " "The booking and communication were straightforward. The DJ was efficient,I ordered the do and photo Booth service as think it’s a good deal together. The children really enjoyed them self’s and some Parents are asking for his contact. Really good." "Great time had by all the children and they seemed to love dressing up with all the photo booth props etc, overal a great childrens party and full screen pictures link is on its way to you thank you." 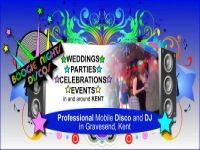 "Perfect Djs for our wedding very professional and would recommend for them for any occasion and would like to thank them and give them 10 out of 10 for making our night special." "Great Wedding and lovely people, dont think we have ever played so much reggae in one night!! party party party!" "Hadyn was everything I hoped for. The music was superb and the atmosphere brilliant. I have had loads of comments about how good the evening was and we had a fantastic evening. Thank you!" "A fantastic Venue and a fantastic crowd, once we got them on the dance floor they wouldnt leave and ended up making it a fantastic party thankyou." "Thank you so much for a perfect 10th disco party. Hadyn and Sam were just brilluant, with the photo booth and karaoke being big successes with our guests. Would defo recommend you to all my friends. Thank you. " "very well behaved children who loved the Karaoke so much i couldnt get them off the mikes thank you ++"
"I am a disorganised and anxious party organiser but my guests would never have known it. Hadyn was brilliant. With very little helpful input from me he kept our guests, ranging from 5-80 years old entertained all evening. I would absolutely use BoogieNights again and would recommend them to anyone." "Agreat Night had by all and the guests dancing all night kept me on my toes, great venue and great guests thank you"
"Hadyn was fantastic and he listened to what we wanted when we met with him. He was professional, approachable and knowledgeable. We received so many comments from our guests about how great the DJ was. We would definitely recommend! " "i have already responded to this feedback please check for me"
"Haydn was a very good DJ. He had good quality equipment and a wide range of music. He was able to set up early and was easy to communicate with. He was friendly and helpful. " "Absolutely lovely venue and guests knew how to party well into the night it was a shame to have to stop in the end." "What can I say, perfect from start to finish, excellent selection of music, very happy guests!! Photobooth excellent too, thank you for making my husbands 50th birthday party one to remember!! Would definitely recommend "
"what a lovely couple, great venue and great guests who knew how to party!!! photo booth pics on their way thanks"
"Can not thank Haydn enough for DJ'ing at my 30th Birthday Party in November. The playlist he chose was fantastic and ensured that everyone was on their feet all night. He was able to accept music requests and really got the party started when he pulled SKA out of the bag which is my family's all time favourite. All my guests commented on how great he was and the price was unbeatable. I would definitely recommend Boogie Nights Disco for any event and will definitely be getting in touch with him again for all my future parties. Thank you Haydn." "It was a fantastic night with non stop dancing and brilliant guests.... thank you for your kind comments!!!" "Absolutely fantastic, boogie nights couldn't of done better!!" "Thank you, the children loved the photo booth so much they forgot to show their killer moves in our dance off!!!" "Hadyn was great, arrived and set up on time. Music was great, would definitely use again. " "great venue, great music and great people. all you need for a great party thank you!!!" " A great disco - we were able to send in a request for songs before the wedding and these were all played as well as many others. The dance floor was always busy and there was a good mixture of 'classic' disco music and plenty for the younger element. A very successful evening. Thank you Hayden." "Guests were well up for a dance and absolutely lovely venue... just a pity it had to finish at 9pm though!!! " "Very accommodating to the children's choices, made for a great evening"
"childrens end of term party, lots of dance offs!!! and a great ending where they were all very sad to leave........"
"Great service, Haydn listened to our needs and didn't disappoint. Would recommend his services." "what a great crowd and a lovely couple!! they certainly knew how to dance and kept me on my toes all night!!!" "Hayden turned up in plenty of time to set up before guests arrived,the evening saw everyone up on the dance floor and a great finale when everyone was asking for just one more as they didn't want the evening to end." 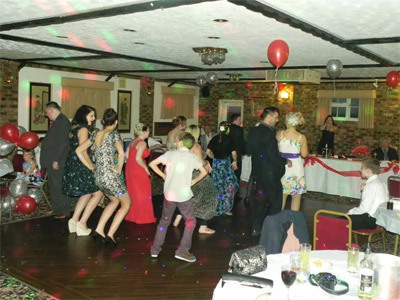 "A great nights dancing celebrating an 18th, 40th and 70th birthday celebrations and didnt want to finish!!!!!" "Nice guy, very professional and ran a great night for our guests." "great black tie event with loads of dancing and cheering, looking forward to next year!!!" "18th Birthday Party. Music played was to the letter of playlist supplied, room for requests. Great time was had by all. Definitely recommend and would use in future. Thanks!" "Lovely smaller size venue and great crowd who loved dancing thanks"
"We used Boogie Nights Disco for my Dad's 60th and he was fantastic! On time, excellent equipment and amazing atmosphere! He played the music we had discussed and a few choices of his own which were spot on! All requests from guests were played and the night was a fabulous success! Would 100% recommend him to anyone, well worth the money! Everyone has commented how brilliant he was! :)"
"what a fantastic evening, had your dad dancing all over the place........ great night thank you"
"We were so pleased with boogie nights. Originally we weren;t sure if we wanted to get a dj or just use an up of but so glad we picked them! They were able to provide us with background music during our wedding breakfast and use of their mikes for our speeches. Would definitely recommend! They played everything on our playlist and had every song or guests requested so a great night was had by all. You could tell how great the night was by how black my feet were at the end of the evening from where I;d kicked my shoes from all the dancing! Thank you for an amazing night! One very happy Bride and Groom. Thanks guys, Vicky & Alex Mitchell"
"Thank you for your kind comments. it was a lovely venue and your friends and family certainly know how to dance. we couldnt keep you all off the dance floor. thank you for booking us for such a fantastic wedding." "Great evening. Everyone said how great the music was. Would recommend and use again." "it was a great evening had by all including us. thank you"
"I would definitely highly recommend Boogie Nights. My daughter;s 11th birthday party was a roaring success and they all had a fantastic time. I was very impressed with Haydn & Sam, their set up, handling of the children, the games were brilliant fun and it was all just the right mix. Their attention to detail was first class. So yes to Boogie Nights, they were really great. Thank you." "we had a blast helping all the kids with trying to win their its a knockout games and such fun." "Outstanding. The DJ was perfect for what we wanted - a disco for a 12-year old girl;s birthday party with lots of dance / pop music that my daughter had selected. The logistics and set up was all very smooth, and the light show significantly exceeded our expectations. 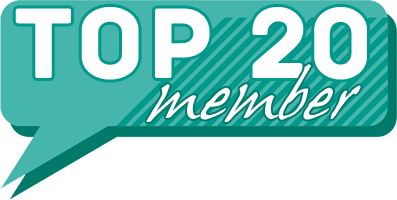 Good value for money, and we would definitely use them again, and recommend them to our friends." "Thank you - we had a great time playing all the latest music that kept them dancing for hours!!!" "Great setup, arrived on time and set up quickly with no problems. Played a great selection of music for my 30th birthday party. Thanks very much!" "We had a great time at this 30th Birthday party and everyone looked great dressed up as zoo animals - what a party!!!!!!!!" 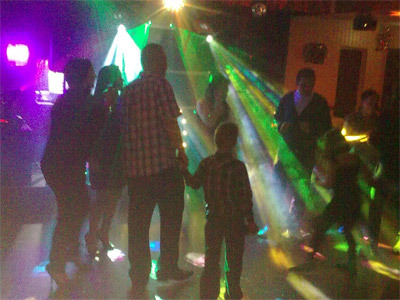 Boogie Nights Discos also offers a range of additional party services not directly linked to musical entertainment. If you are contacting Boogie Nights Discos about an event, it's always a good idea to include the DATE, LOCATION, EVENT TYPE, AGE GROUP and TIMINGS to speed things up!